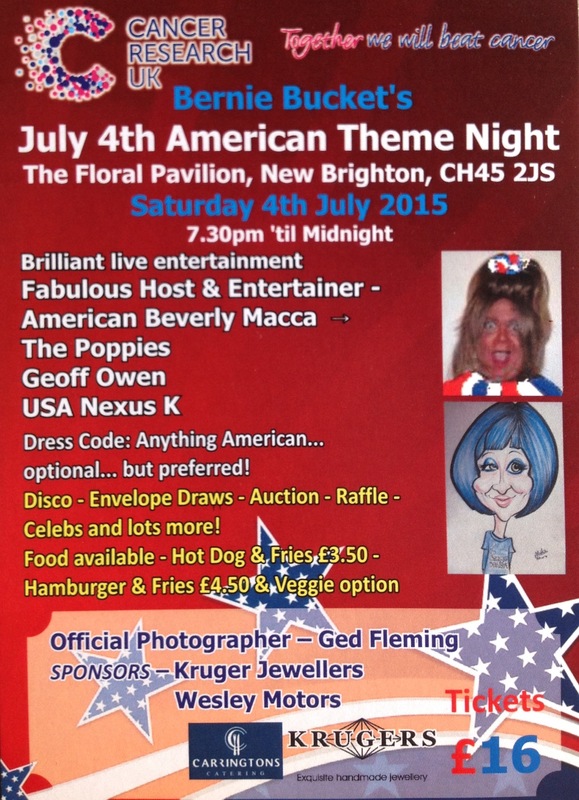 This will be on Tuesday 14th July at 1pm in the Blue Lounge of the Floral Pavilion. As usual this is a free concert all are welcome. As you know, we have been able to deliver 7,000 copies of the Walrus to every home inNew Brighton every March, May, September and December for 18 years now and we hope to be able to continue to do so for many years to come. We continue to apply for funding but it becomes harder every year to obtain this.This month we asked the New Brighton churches o hve a collection in support of the Walrus at their services on the first Sunday. Everyone gave generously and the sum of £150 was raised between them towards the cost of the Walrus. We would like to thank the people of St James, Emmanuel and St Andrews churches for this support. We will continue our efforts to obtain funding as we feel that the Walrus helps to keep the community informed about local events and gives community organisations the opportunity to promote themselves. Easter proved to be an extremely busy time especially in New Brighton with thousands of visitors to the area enjoying the fantastic facilities and good weather. There were a few incidents of minor disorder involving youths congregating in and around Marine Point. However this was dealt with quickly and effectively by Merseyside Police and partner agencies. I would like to thank personally the Wirral Anti-social Behaviour Team, Wirral Community Patrol, Travel Safe, the Light Cinema and Riverside Bowls for supporting a series of events to counter this type of anti-social behaviour. Can I remind householders to ensure their doors and windows are locked securely when possible especially in the good weather as burglars will use this period to try and break into properties. If you are out at night leave a light and a radio on to give the impression there is someone in the property. Car owners should ensure that valuables are hidden away either in the glove compartment or the boot. Lock the vehicle and ensure the keys are put away in a draw in the house. DO NOT LEAVE THEM NEAR TO THE FRONT DOOR AS THEY COULD BE ‘HOOKED’ OUT THROUGH THE LETTER PLATE. In anticipation of possible further minor disorder Merseyside Police and partner agencies have felt it necessary to implement a dispersal zones in the following areas. The first dispersal zone will include the area of Kings Parade, Wellington Road, Marine Park and the surrounding area. The second zone will include the area of Tower Grounds, Vaughan Road, Egerton Street and the surrounding area. This power allows an officer to direct an individual to leave the area for up to 48 hours. Any breaches of this direction may result in arrest. The dispersal zones will commence at 2pm Friday 22 May 2015 and conclude 48 hours later. Finally, please note Wallasey Police are now on Twitter and can be accessed on the following: @MerPolWallasey. I can be contacted at Wallasey Police Station so please drop in and make an appointment. Alternatively ring me on 0151 777 2928, email: Gary.E.Henwood@Merseyside.pnn.police.uk. or ring Crimestoppers on 0800 555 111. Bank holiday Mondays in New Brighton already bring thousands of people in to take advantage of all the visitor attractions on offer in the resort. However, the second May bank holiday this year – May 25th – is likely to see that volume of tourists swell to even greater proportions as people from near and far seek to take advantage of the unique view from Wirral across the Mersey to watch Cunard’s three flagship cruise liners sail in formation down the river for the first time. The Three Queens – Queen Elizabeth, Queen Victoria and Queen Mary 2 – will be on Merseyside to celebrate Cunard’s 175th anniversary in what is the company’s spiritual home. Celebrations in Liverpool will be taking place across three days – May 24th-26th – as the liners come and go in stages. However, in Wirral, the focus is on the bank holiday Monday when the Three Queens rendezvous near New Brighton at the tip of the peninsula and sail down together towards the Liverpool waterfront. Tens of thousands of visitors are expected to converge on New Brighton and Wallasey to watch the spectacle and Wirral Council, along with traffic and transport partners and the emergency services, have been working together on a plan to ensure a safe and efficient passage in and out of the borough for visitors and minimal disruption for local residents and businesses. Traffic management plans are taking shape, which include the provision of around 6,000 additional free parking spaces on the Dips, with vehicles being directed to the car park from junction 1 of the M53. The main A554 road from Woodside, past Twelve Quays, into Seacombe (Brighton Street / King Street) and through New Brighton – Seabank Road, Rowson Street, King’s Parade, Coastal Drive – will be a designated ‘Blue Route’ on Monday 25th May. This means that there will be no on-street parking permitted along this entire stretch of carriageway, except where there are dedicated parking bays. This is to ensure there is a safe passage for emergency service vehicles should they be required. Residents or visitors who usually park their cars on this road are asked to find an alternative place for their vehicle while this event is taking place. At the entrance to roads leading down to the promenade signs will be put up informing motorists that parking on these streets is for residents only. Other public car parking places in the area will be open as usual, with the exception of the bays on Marine Promenade, which will be dedicated parking for Blue Badge holders only on Monday 25th May, and Fort Perch Rock car park, which will be used as a gathering place and vantage point for pedestrians that day. Visitors to New Brighton will be encouraged to use the facilities and services offered by existing local businesses and the Council will take enforcement action against any people seeking to trade illegally on the street. In areas along the promenade towards Seacombe Ferry, where there are few public facilities or services, the Council are supplying public toilets and licensing a small number of refreshment concessions. Dedicated litter patrols will be taking place along the promenade throughout the day. Mark Camborne, Head of Corporate and Community Safety for Wirral Council, said: “We have held a couple of informative sessions with local businesses in the area to talk about the visit of the Three Queens and the opportunities this might open up for them as well as how our arrangements for the event are progressing and how New Brighton is likely to be affected by the influx of visitors. The Gorse Millennium Green will open its gates on Saturday 16th May from 2 pm for you to come along, take wander and look at the new improvements. There will be some refreshments provided and a compilation of short musical activities, linked to wildlife and nature for children and adults to explore in this beautiful pocket park. We hope to see you there. White Elephant, Cakes, Toys, Books, Games etc. Doors open at 7pm. Films start at 7.30pm. 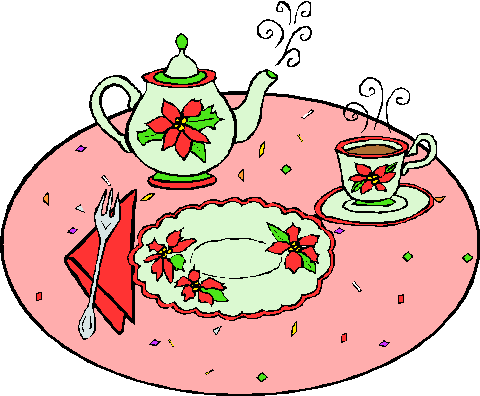 The next Friends meeting is Thursday April 16th at 6.30pm. Lots of important things to discuss. All welcome! All meetings start at 6.30pm. 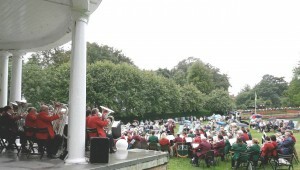 Praise in the Park, 2-4pm on Sunday 24th May, in Vale Park. Run by local Churches. Come along and join in the singing or just listen. Free entry & deck chairs. A fitting end to Wallasey Mission week. Charlotte’s Brightside is a locally based children’s charity situated in Molyneux Drive, New Brighton. We provide a youth and opportunistic service, for children and young people to have fun, be safe and try new experiences. The centre opening times are Monday homework club 4.30-5.30pm, 6pm -8pm youth drop in night, Tuesday 6pm -8pm youth drop in night Wednesday nights we offer a range of different courses some of these include music, cookery, dance etc all our nights we ask for a 50p donation. We are totally self funded and run regular events and arrange fund raising activities to enable us to stay open. We also hire the building out for children’s parties, meetings, organised events etc , free WIFI available, full kitchen facilities available. Started in 1953 by “Uncle Norman” and “Aunty Dorothy” Trafford, the Children’s Talent Show is now hosted by Aaron Hayes. 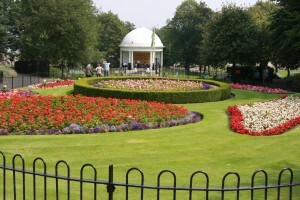 It runs from 2.30 – 5 pm Monday to Friday for the first five weeks of the school summer holidays on Vale Park bandstand. Admission 50p. All welcome. A special JOYTIME will take place on Friday 29th May to get everyone in the mood for the summer. 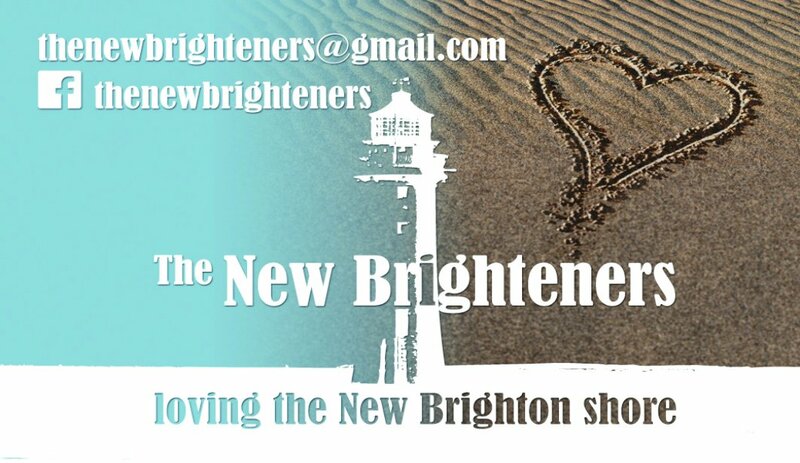 FASCINATING FACTS ABOUT NEW BRIGHTON AND THE PEOPLE WHO HAVE LIVED HERE. Arthur Geoffrey Nelson Wall was born in Liscard on the Wirral Peninsula on 3rd March 1897. His father was Arthur E. Wall and his mother Mary from Bromley, Kent. They moved to the Wirral as Arthur Wall was appointed Manager of the Australasian Branch of the London and Lancashire Fire Insurance Company, which had offices in Liverpool. The family lived in Denton Drive and Geoffrey was educated at Seabank Road High school with Mr Wrigley. You can find out more about Geoffrey Wall at the New Brighton Heritage and Information Centre at St James Church, New Brighton. Do you have any Fascinating Facts which we could add to our collection? If so, please contact us on 639 5798, email rustyk92@sky.com or visit the Heritage Centre to share them with us. SEABANK ROAD NEEDS PICKING CREW. Phyl Oliver, of Seabank Road, is looking for volunteers to join a Picking Crew to improve our environment and tackle the growing problem of litter on our road. We are already making progress ‘starting up’ and now it is ‘your chance’ to take up a ‘picker’ and walk the dog, get fit, or just a reason to get out and about. One hour, one day, once a week. The more we have the less we have to do. Let’s brighten up our outlook. Let’s get it together. 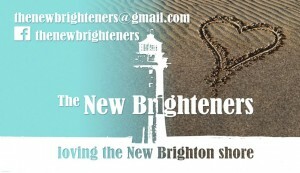 Dave Peddie from the New Brighteners has been very helpful and Zell and Michael. It is a Community Project which we hope to spread to other areas and involve other ‘street’ matters…but that is for the future. No politics and no religions but people who want to improve where they live. It has been a wonderful spring and the beautiful park has attracted many new customers along with the regulars. The Orangery has been dressed for a number of private celebration parties over the last few months and these events have been well appreciated. A full colour brochure is available at the café for details and the staff are happy to discuss individual requirements and confirm bookings. The popular monthly Bistro Nights are back; usually held on the last Friday of the month. Please watch the website and social media for details; www.valehousecafe.co.uk, Twitter and Facebook. The Vale House Board are working with Friends of Vale Park to ensure we provide the best possible cover to accommodate increased custom when the ever popular summer Bandstand events are booked. Sunday 7th June is the recognised popular “The Big Lunch” and this year Options for Supported Living are hosting a celebration from noon with games and craft stalls, as a big thank you to the volunteers who worked in the Rose Garden. The café is preparing 150 lunch bags for the group, but the community is welcome to join in this national event. At 3pm on Sunday 14th June, Vale House will join the whole nation with its own LiberTeas; guests sitting down to tea to celebrate, debate or reflect on their liberties. 15th June is the 800th anniversary of the sealing of Magna Carta, which was the document that laid the foundations for the rights and representation that we enjoy today. Further details will be available shortly, but please register your interest by emailing: manager@valehousecafe.co.uk as places will be limited. Tues, Wed & Thursdays, £4 – three course meal. 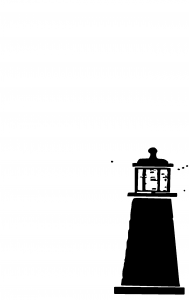 Wirral Pathfinders – Mental Health/Self Help Support Group – This group was established in 1992 to support people, their family and carers, for whom depression, anxiety and mental health problems are part of everyday life. It has gone on to help hundreds learn to manage their problems, building up their self-esteem and confidence, helping them to remove their feelings of isolation. The club meets every Thursday – 7pm – 9pm and a very warm welcome awaits all those that come along. Computer Suite – This service offers local residents looking for work’ free internet and email addresses. It’s a valuable resource where residents can get help putting together CVs, job applications, advice on free travel and searching for jobs. They can also enjoy a cup of tea/coffee and seek the assistance of the ICT Facilitator should they have any problems or need further advice. Residents can also scan documents, use the photocopier or fax. Police Surgery is held every Monday morning 10-12pm for residents experiencing problems with anti social behaviour and other associated problems. Computer Class the clubs aims to help people with all aspects of computing including smart phones and tablets. Every Monday 7pm – 10pm. Art Classes – Every Monday 1pm till 3pm. Accent on enjoyment rather than talent. Tuition at all levels, all materials provided. Phone Iris for more details on: 638 8472. Thank you to everyone who supported our event on 28th March at Emmanuel Church Hall, Seabank Road. Hopefully you will have enjoyed refreshments with a lovely homemade cake and picked up a few quirky gifts! We have recently had a series of call outs to either rescue dogs in difficulty or walkers with dogs cut off by the tide. In the cases of rescuing dogs in difficulty its vital that the owners or passers by do not try and rescue the animals but call for help instead – call 999 HM Coastguard. In many cases the animal will manage to get itself back to land however the human drowns!. In both dog rescue situations recently local Coastguard officers had a hard job dissuading owners and passers by from entering the water to attempt rescue. In February the River conditions were very dangerous, we managed to rescue Heidi the dog but sadly she died later on shore. 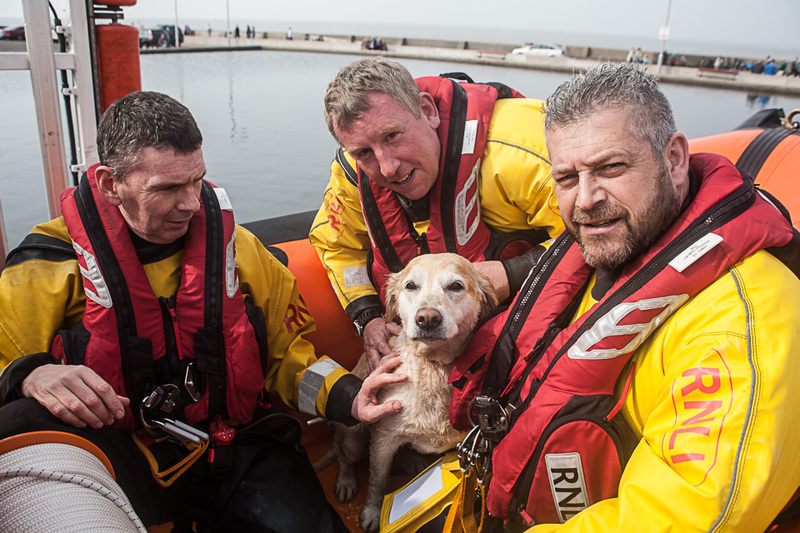 People may ask the question why do our crews risk their lives to save an animal – in both cases when we launched information indicated that there was a high probability of having to rescue a human from the water which would be our top priority – our crew also love animals. A common feature of both incidents was the dog being caught in strong currents as the tide turned. Since New Year there has also been a series of incidents where dog walkers, some with children, who have been caught out on the sandbanks by the incoming tide and cut off from shore. Fortunately most managed to wade ashore before we launched either hovercraft or lifeboat however I suspect its only a matter of time before there is a tragedy. Its vital to understand the tides in the area as they sweep in extremely quickly along the many gullies leaving many sections of sandbank above the water several hours before high tide. 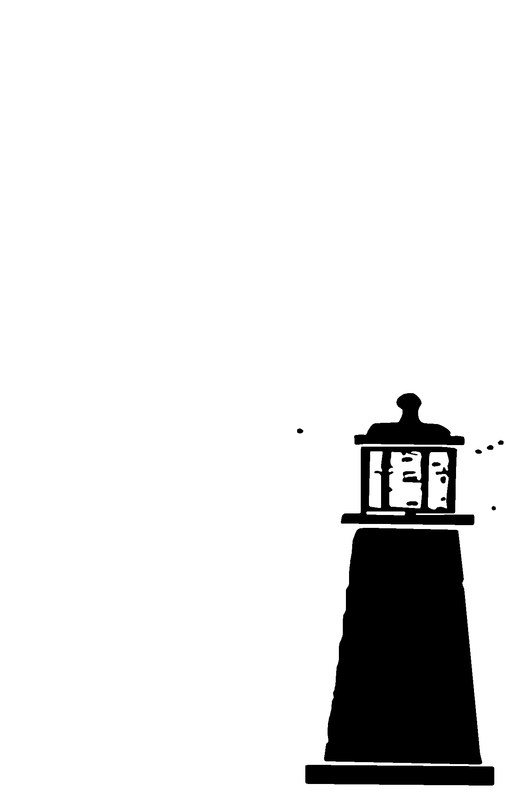 In addition when the tide turns strong currents can drag animals and humans swiftly into deep water and out to sea. Everyone is welcome at all of these services. St Andrew’s has some special events to look forward to in the next few months. Wallasey. We are delighted to welcome the John Ellis, the Moderator of the General Assembly of the United Reformed Church, who will lead the service. Sometime during June there will be a concert of Summer Music by the Oldershaw Singers . This always a most enjoyable evening, so look out for information about that on the notice boards nearer the time. Have a holiday at home with our “Staycation Week” . A full programme of talks, activities and outings is arranged for the week. Everyone is welcome to join in. Sunday, 13th September 2 pm – 4 pm. St Andrew’s will be open for Heritage Open Day. This is a chance to see what lies behind the familiar exterior of the building and to view the War Memorials from the churches which have joined with St Andrew’s over the years. . You may well be surprised! We hope very shortly to have a website where you will be able to keep up to date with all St Andrew’s news and activities. Our years are landmarked by events and seasons: Birthdays, Easter, Christmas, Diwali, Ramadan, Passover etc. Some are happy and joyous dates for celebrations and some are sad remembrance dates for tears and reflection. For The New Brighteners, our year is broadly divided into two seasons: Less Rubbish Season (Usually Winter), THE Rubbish Season (starts in Spring and ends in Autumn). Whilst the redevelopment of New Brighton has bought a raft of positive benefits; economic, social and recreational. Sadly it has also bought a raft (literally in some instance) of rubbish, and the question is always raised as to who is responsible for, firstly, dropping it, and secondly, for clearing it away. The first question is easily answered. Who is responsible for dropping the rubbish in our streets, parks and beaches? People. The second question is less easily answered. The familiar chant is, ‘it’s the Council’s responsibility innit’. So here’s a thought for folks who take the line that it’s the Council’s responsibility. Much of what ails England is the attitude that, ‘it is someone else’s responsibility’. These are the people who simple walk by on the other side, ignore the problems, leave the litter, do nothing about anything because, ‘it is someone else’s responsibility’. So over the last couple of decades, this attitude has seen an endemic social deterioration across the country. It is time to reclaim our neighbourhoods, our parks, our streets and our beaches. Time to stop saying, ‘it is someone else’s responsibility’. It isn’t, it is OUR responsibility. A few weeks ago an interesting discussion took place on the Wallasey Gossip Facebook page. It began with a person, a young man probably in his late teens, who refuses to walk by on the other side. A person who refuses to say, ‘it is someone else’s responsibility’. He had the guts to suggest that people might like to join him in helping pick up litter in the Wallasey area. Well, you would think he had proposed people should pick up the litter and eat it. He was berated, belittled and shouted down by those very people who won’t do anything and chant, ‘it is someone else’s responsibility’, ‘it is the Council’s responsibility’. Well shame on them. The good news is that he had more guts than all of them, stuck with it and a good number of people supported his idea and aspiration. And there are other people who are also taking up the challenge and facing down the tide of litter, the disease of litter, threatening to engulf us all. So who among us is responsible………? This is the time of the year when many people go on holiday. Often they go to the seaside or somewhere where they can enjoy open spaces and scenes of natural beauty and good fresh air. However those of us who live in or around New Brighton have the privilege of enjoying all these things all the year round. We may not feel the need for a physical change of scenery. So how can we mark the holiday season without necessarily moving out of our own homes? Here are a handful of suggestions. At holiday-time it is good to do something new. Why not visit somewhere local where you have never been before? Or read a book on a subject about which you know little or nothing. Watch a TV programme you would normally avoid. God means us to be explorers. We don’t have to move away from home in order to do it. Or why not take advantage of a local amenity which you have so far neglected? For example, we have some splendid libraries in our area. These days I am regularly to be found at Wallasey Central Library. They have an excellent stock of books to read and of talking books too. Also, though this is not widely known, they provide an imaginative social programme. The staff, who are all really friendly and helpful, will be delighted to give you details. Why not treat yourself to a meal somewhere locally – perhaps at one of the wide range of restaurants at and around Marine Point or in one of our local pubs? My wife and I have been really impressed at the excellence of the food when we have visited some of them. Holidays are a good time to get to know someone new. Once again you don’t have to be away from home to do this. There may be neighbours you do not know well. Why not invite them in for a cup of tea or coffee? There are few things in life more important than relationships. The richest people in the world are not those who have most money but those who have the best relationships and the deepest friendships. Human personality can be a treasure chest. We are meant to hunt for the treasure in the people around us. Finally,with apologies for the fact that it is an ex-vicar writing these words, the holiday season can be a good time to have a new look at the churches around you. Many churches put a great deal of time and thought into catering for the needs of holiday-makers You don’t need to be away from home to benefit from this. You may well be in for a surprise if you walk through the door of a near-by church. Churches have never been more friendly and there has never been more variety in the types of services which are available. If you like old-time hymns and prayers, you will have no difficulty in finding a church with traditional services. If you prefer something more informal and appreciate new ways of worship, these too are not difficult to find. In addition there will be a wide range of social events as well as religious services. You could easily find yourself making new friendships, and even more importantly, you could find yourself rediscovering Jesus in an entirely new way. He has promised to refresh all who turn to him. And what does ‘refreshment’ mean but having‘a holiday for the spirit’? So perhaps this is the best holiday suggestion of all.